Tricia Ericson is YOUR family’s Realtor! Not only does Tricia pride herself on depth of knowledge and sub-market valuation, she knows that knowledge of construction quality, transaction efficiency and timelines are most important for today’s growing and busy families. 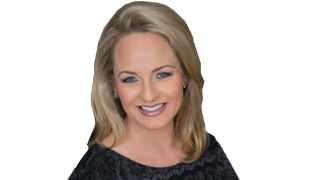 Tricia began her real estate career 20 years ago in Dallas, TX after graduating from SMU with a BBA in Finance and Real Estate Finance. Commercial real estate was her initial career path, representing and assisting many “Fortune 100” companies with their real estate needs. Though after moving to Nashville, Tricia decide that transferring to residential real estate would allow her to use her professional real estate experience representing clients, while continuing to work on development projects with her husband, in addition to raising a family. Tricia’s friendly, transparent and candid personality makes the search for your new home fun and exciting. Advising on and negotiating the best possible contract for her clients, in addition to continually watching the market climate for her clients’ current or future real estate needs is essential to a great relationship between a “Realtor” and her client.